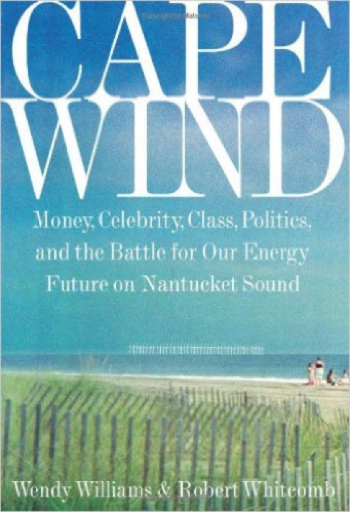 Cape Wind is the real story, told for the first time in full, of the battle for our energy future. It also is the story of Jim Gordon and his quest to erect the world’s largest wind farm in Nantucket Sound, which is, of course, bounded by the storied vacation lands of Cape Cod, Martha’s Vineyard and Nantucket. His project challenges the privileges, power, and assumptions of many of the ultra-rich and ultra-powerful. Cape Wind is a rollicking tale of democracy in action and plutocracy in the raw as played out among colorful and glamorous characters on one of our country’s most historic and renowned pieces of coastline. As steeped in American history and local color as The Prince of Providence; as biting, revealing and fun as Philistines at the Hedgerow, it is also a cautionary tale about how money can hijack democracy while America lags behind the rest of the developed world in adopting clean energy.